BuildBlock Building Systems has released an ICF Swimming Pool Engineering Guide to aid the design and construction of in-ground and above-ground ICF swimming pools, cisterns, and water vessels. Brian Corder, director of marketing, says the company is seeing strong and increasing demand for these applications. In-ground pools lose most of their heat through the sides and bottom, so ICFs can make a major difference in energy savings. “Pools built with BuildBlock reduce energy costs by more than 60% and extend the pool season, making the investment even better,” confirms Corder. The guide contains basic engineering methodology and references, suggested footing designs, and designs to ensure the integrity of the structure. These tables are intended to serve as a guide and reference; some projects may require site specific engineering. 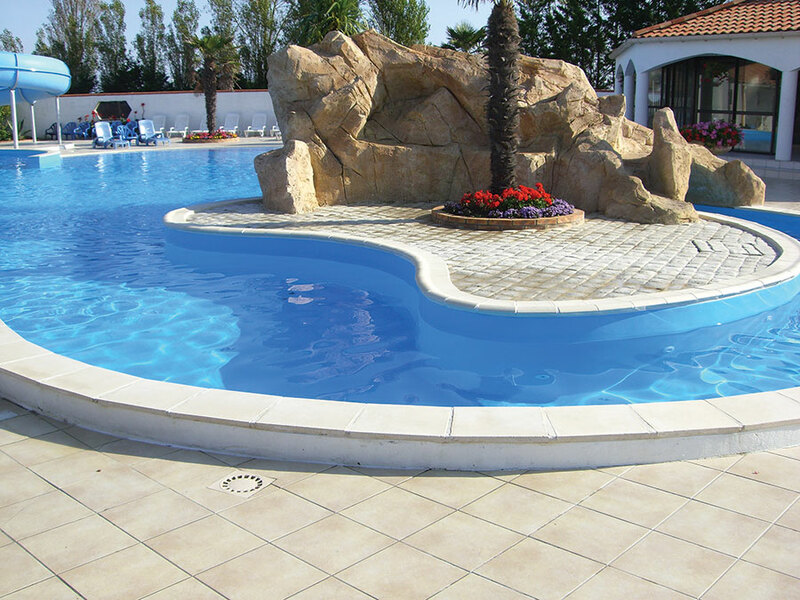 The company also markets a one-coat plaster designed specifically for ICF pools that is 100% waterproof, extremely durable, and available in a range of colors. For more information, the engineering guide can be downloaded from the BuildBlock website. 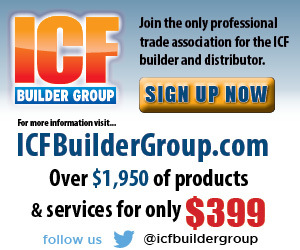 The ICF Manufacturers Association is developing a commercial ICF installer course. The four-hour class was developed in response to a request by the Masonry Contractor’s Association of America (MCAA), and is expected to be presented for the first time to MCAA members in November at three regional locations and then again early in 2018 following the World of Concrete. 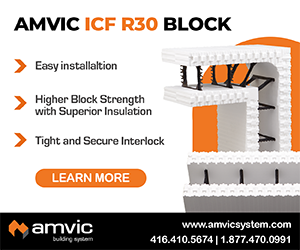 The course is designed to educate builders who are already familiar with commercial CMU construction and will emphasize the correlations between CMU installation and ICF installation while also highlighting the efficiencies and product benefits of ICFs. 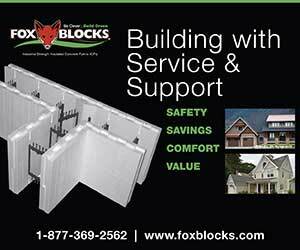 Mike Kennaw, vice president of sales and marketing for Fox Blocks, is heading up the effort for ICFMA, and reports that it will cover commercial installation best practices and include segments on residential installation also . An abridged 90-minute version of the class will be presented at the ICF Summit taking place at the World of Concrete tradeshow in January 2018. Eco Building Systems, maker of a cement-EPS insulating concrete block called Perfect Block, is expanding its distribution network. principal at the company, says, “EBS is committed to strong dealer support by providing a protected marketing area based on the dealers’ experience and commitment.” He notes that the lead generation system in place should provide the dealer with new business opportunities in their marketing area. A new business launched in July called Safe Rooms America. 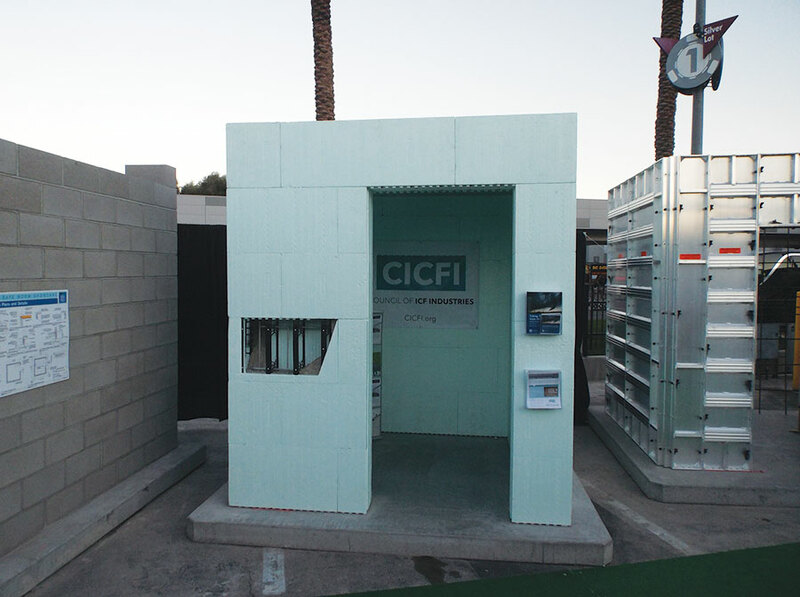 The company is based around the construction of disaster-resistant safe rooms utilizing Insulating Concrete Forms (ICF). Safe rooms are especially popular in the Midwest, where tornados but are most common, are constructed in all areas of North America for use as panic rooms, walk-in safes, and so forth. For businesses, they can double as a nighttime vault where camera recordings, servers and documents can be stored to survive nearly any threat against the business or structure. Safe Rooms America is currently selling territory rights throughout the U.S. and Canada. Affiliates receive the business plans and materials to sell and install ICF safe rooms in regular wood frame structures, as well as marketing, lobbying, and promotional support at the national level. The concept is non brand-specific, and is compatible with any brand of ICF currently in the marketplace.